The NGD produces maps on the base of aerial images, which have been corrected to become orthophotos. 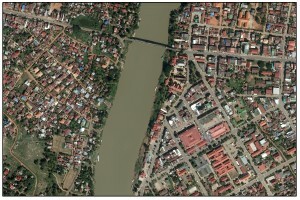 An orthophoto is an aerial photo, taken from an aircraft or a satellite, geometrically corrected (“orthorectified”) such that the scale is uniform. An orthophoto can be used to measure true distances because it is an accurate representation of the earth’s surface. It can correctly determine locations, width, length and area on real surface. Digital orthophotos are currently used worldwide. 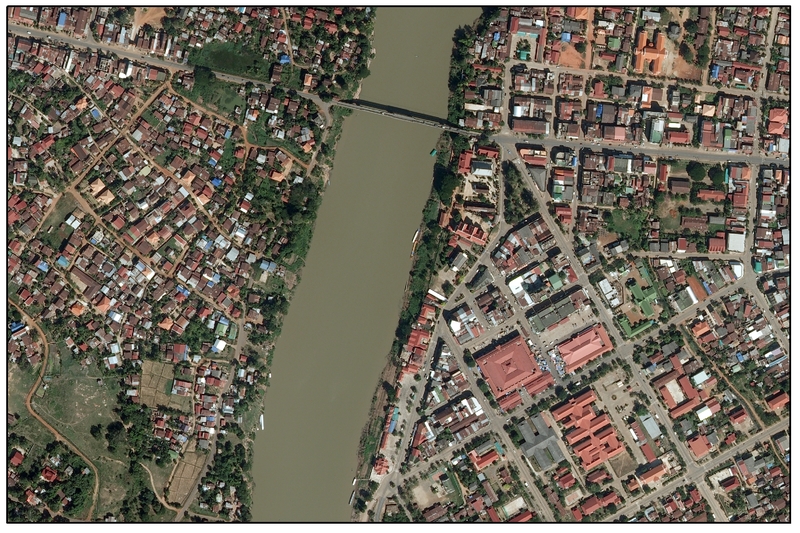 The National Geographic Department has created digital orthophotos in Lao PDR since 2010. With a grant provided by the Finnish Government, 2/3 of the country (central and southern parts) were covered with aerial photographs. The remaining, northern part of the country, has been covered by a grant from the Vietnamese Government. Orthophotos are created in two color modes: RGB (red, green, blue) and IR (infrared). 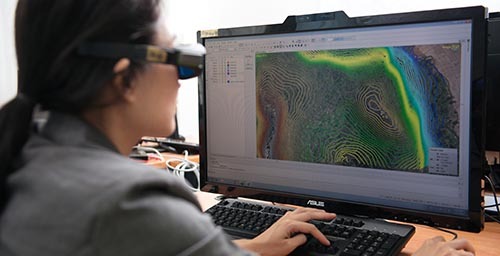 Images can be zoomed into with clear accuracy up to 0.5 meters above surface. Coordinate systems are based on two different standards, the world coordinate system WGS 84 and the local system, Lao 1997. Orthophotos are scientifically important and necessary for users of all sectors. Using digital orthophotos helps saving resources from fieldwork, especially in remote locations that are difficult to reach. Customers can order aerial photographs of predefined area or make a request for a customized aerial photograph for an area of your choosing. Contact NGD for further information.